Westlife was awarded Senior & Grand Champion at the Hereford National in 2011. 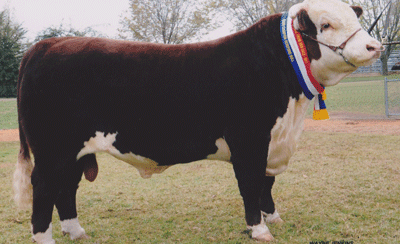 He was purchased by Stannum Herefords for $20,000. The consistancy with which Magnum has bred is unprecedented, his sons continue this legay and we are confident Westlife will be no exception. His Dam, Miss Titania 123 also has an outstanding list of progeny, all of which have bred exceptionally well across many herds. This young sire certainly boasts a powerful genetic package. Westlife was represented by Beyond in our 2014 Hereford National team. He sold to Tummel Herefords for $12,000. We will offer six sons in 2015.